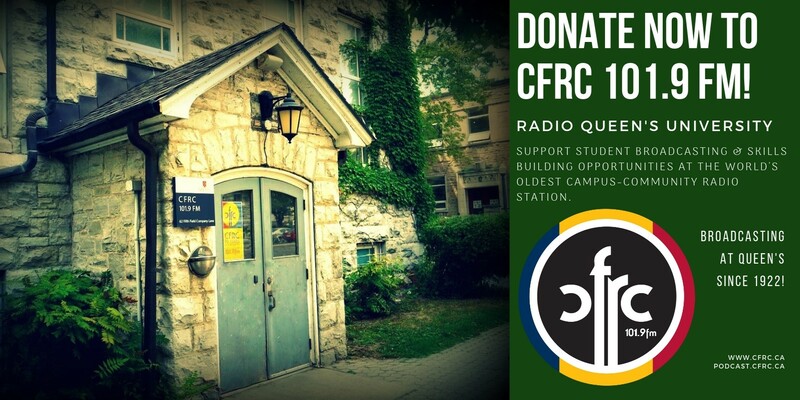 Thank you for donating to CFRC, the world's oldest campus-community radio station, broadcasting at Queen's University since 1922! Your donation directly supports CFRC's many year-round skills-building opportunities for campus and community members including broadcasting; podcasting; library maintenance; audio production; outreach & event planning; communications, networking & relationship-building; interviewing; research, writing, copy editing and more! Thank you for your support and for the vital role you play in helping CFRC enrich and challenge the academic and cultural life of the Queen's University and Kingston communities, celebrating their diversity, and keeping global listeners informed about and connected to them. Since 1922. This is YOUR signal.